Don’t get in the way of a hungry teen looking for sustenance. Their growing bodies and brains need healthy snacks when they need them. So if you wait for them to start rummaging through the kitchen, you may have already lost the battle for healthy food. NEED TREATS FOR YOUR TEEN? ORDER DELIVERY OR PICK UP! Teens will snack on what is in front of them, whatever it is. So keep a few options out or in the fridge and they’ll be sure to eat them up. Organic stove-top popcorn with coconut oil and sea salt. Dee-lish. Sliced cucumbers and carrots marinated in lime juice and salt. Sooo good! Organic chips with fresh pico, salsa, guacamole and bean dip. Sunflower seeds. Pistachios are fun to eat. Toast your own pumpkin seeds. Turkey Muffins. Sounds weird, but they are yummy and easy to make. GEM Hummus Snack Pack, or make your own. Have you tried our “Ranch” dip? Sliced apples with organic almond or peanut butter. Always have Cutie oranges, grapes, or bananas for an easy grab. Make a smoothie! Blend 1 frozen banana with 1 cup almond milk, raw cacao and organic peanut butter for a yummy treat. Better yet, make a Sparkle Berry smoothie. They will love you! Speaking of The GEM, the Badass 3 Bean Salad is a big hit with the kids. Avocado toast with lemon, cayenne, and sea salt. Mini pizzas made with whole grain English muffins, fresh marinara, mozzarella. Lentil soup or turkey chili with all the fixings. Simple Mills crackers are yummy (and gluten free)! Kids love Sami’s Cinnamon Chips. These high-fiber, low-sugar snacks will disappear. Available at The GEM. Pre-make whole wheat or banza chickpea pasta and keep a clean and healthy Pomodoro sauce or pesto on hand for a quick pasta break. Keep grass-fed taco meat and whole wheat tortillas in the fridge for quick quesadillas. When buying tortillas or taco seasoning, look for brands that have simple ingredients. Mission or Taco Bell does not. Steam frozen organic edamame and add sea salt. Make-ahead yogurt parfaits in a small Mason jar! Mix Greek or Kite Hill yogurt with Marge (available at The GEM) or Kind granola and berries, and drizzle honey on top. Healthy protein bars. Look for ones like Clif, Perfect, and Vega with simple ingredients and no harmful chemicals. Special treat: Homemade cookies and brownies! Just use organic flours, whole butters, and real chocolates — or mixes that do the same like King Arthur or Immaculate Baking Company. A little goodness goes a long way. These treats should be treated as just that — treats. Find one or two your teen likes and try out new ones every week. Keep a few on your shopping list, and they’ll never run out of options. 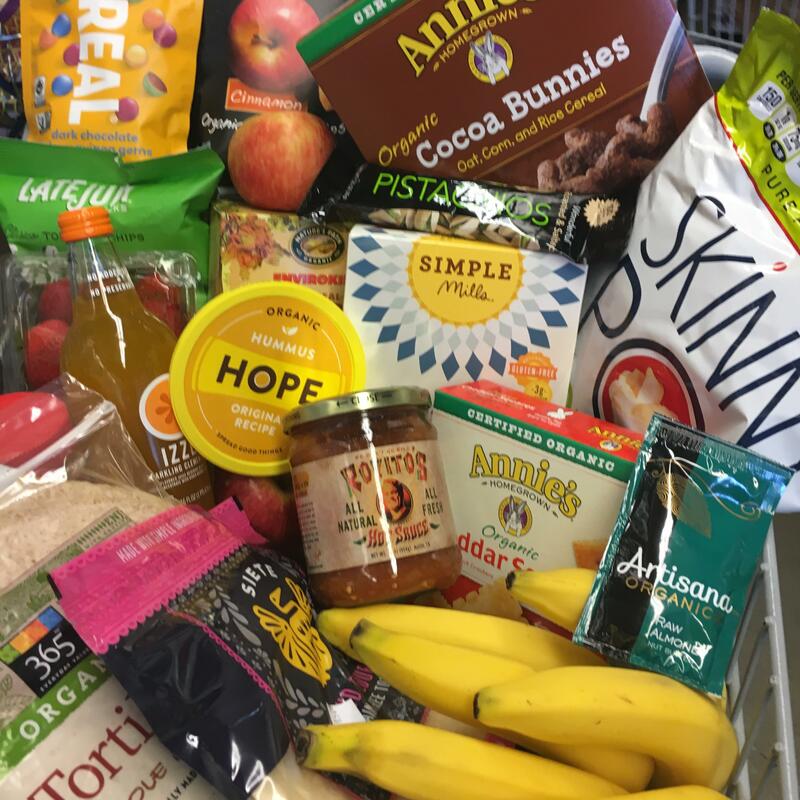 This entry was posted in Healthy Eating Tips, Kid Snacks on March 13, 2019 by The GEM. Is your teenager slowly transforming into a junk food junkie? It’s a real threat to their health — and your sanity. At the very stage they need it most, they opt for junk instead of nutritious foods! The struggle is real. 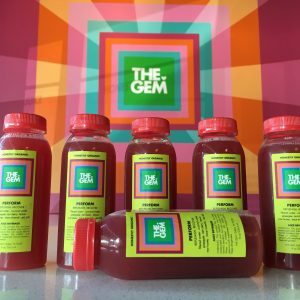 STOCK YOUR FRIDGE WITH GEM-MY GOODNESS FOR YOU AND YOUR TEEN! ORDER DELIVERY OR PICK UP! Nutrition affects the 4 As: athletics, academics, attitude, and appearance. 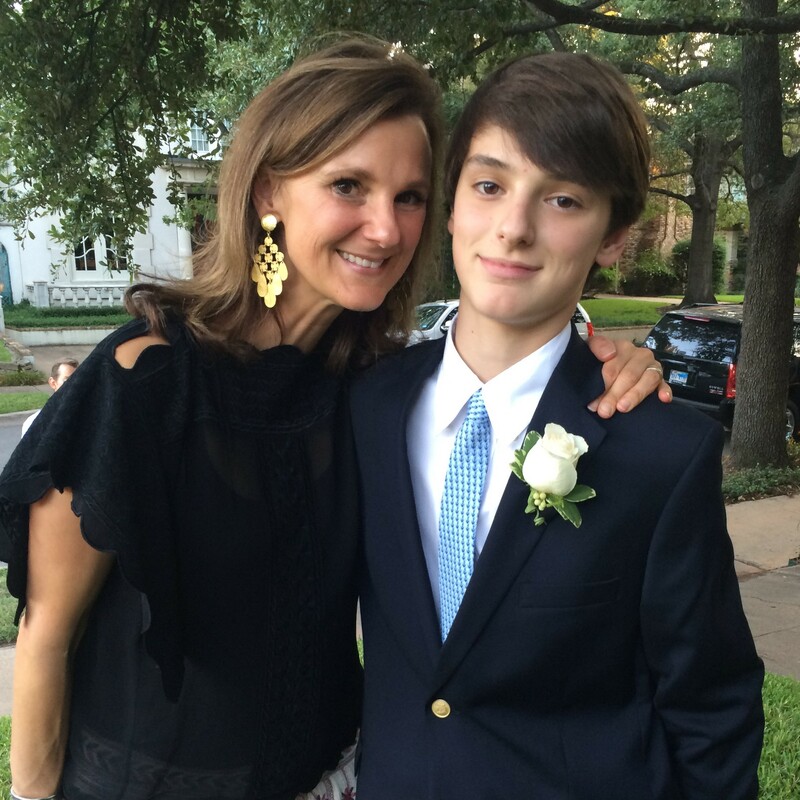 Majorly important to teenagers — and they need to know it. Inflammatory junk foods such as fast food, sodas, potato chips, sweets, etc., cause seriously negative effects. Weight gain or risk of obesity. A change is needed! It’s a lot to take in. But if we can help them adopt a few good habits, we keep them thriving, healthy and happy — straight into adulthood. I don’t suggest coming in full swing with kale chips and sprouted quinoa burgers. Start slowly. Remember it’s never too late to end junk food habits; but it does start with you. MODEL GOOD NUTRITION. Practice what you preach. 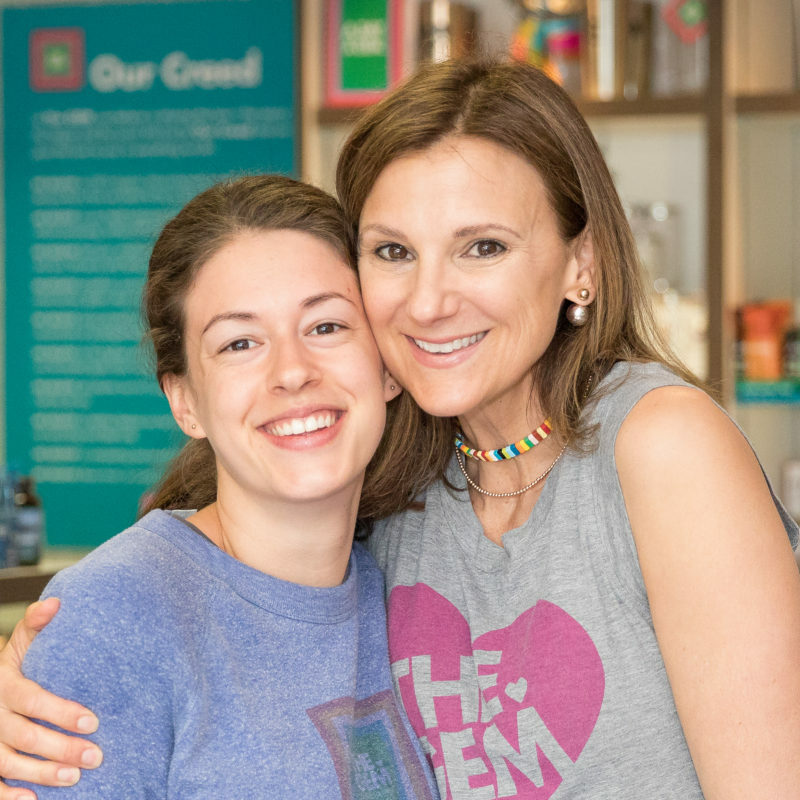 Show your teens how to make healthier choices — like by having grab-and-go options always available — so they learn the connection between good food and good health. It may be hard, but modeling behavior is part of our job as parents. MAKE IT RELEVANT. For this to sink in, the nutritional message has to mean something to them. Be specific. Tell them how food affects their growth, their looks, their feelings, their academic and sports performance, or whatever seems to be the most important to the teen during that particular week. Tell your child that eating lots more green leafy vegetables and less dairy or sugar will eliminate breakouts, or skipping the french fries and milkshake might make for a better basketball game. EAT MORE QUALITY PROTEIN — at every meal.The growing teenage brain and body need protein. Protein gives the body the building blocks it needs to repair and renew, and it also serves as a source of energy and keeps them from craving sweets. Try wild fish, organic chicken, grass-fed beef. Nut butters are also good sources of protein — just make sure they are all natural and not loaded with sugars. CLEAN OUT THE PANTRY. Start out small with foods containing with artificial colors (banned in Europe) and sweeteners immediately. Artificial sweeteners are known to cause 93 unsavory side effects including brain tumors. Food colorings are known to cause tumors, ADHD, allergies, and lots of other problems. Even replacing superbad junk with organic, non-GMO junk is a non-toxic step in the right direction. But be thorough. Even the most unsuspecting of foods, like bread or tortillas, can have more chemicals in them than you can count — much less pronounce — so read the labels. EAT BREAKFAST — the most important meal of the day. This is so true for kids when it comes to brain development, daily energy levels, and ability to focus. Think protein-rich eggs, low-sugar smoothies, oatmeal, breakfast tacos. Fruit Loops are not an option. Sugary cereals and drinks have no place at breakfast — they give brains nothing to function with — and the accompanying sugar spike and drop makes kids cranky. Special note: Breakfast may be your only chance of the day to influence their choices. It also can be a great way to spend a moment with your kids — that you otherwise might not have! Ultimately, good nutrition comes down to a lifestyle, not a week or so of regimented consumption (returning straight to their favorite junk foods). Armed with an understanding of this, teens can start making informed choices that will support them for the rest of their lives. Thoughts? Questions? Leave a comment! 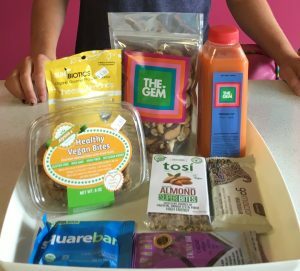 This entry was posted in Health, Healthy Eating Tips, Kid Snacks on February 13, 2019 by The GEM. The third part of our series on teenage athlete nutrition focuses exclusively on hydrating your teenage athlete. Proper hydration in your teen is incredibly important. Even the slightest bit of dehydration can result in vast declines in performance. Understand hydration. It is key because too many of us blindly reach for traditional sports drinks for hydration, electrolyte replacement and energy. This can be a big mistake if you don’t know the scoop. Contain 2/3 as much sugar as sodas. Sugar after exercise negatively affects insulin sensitivity—it may bring an initial boost of energy, but then causes a crash as the pancreas tries to balance out the toxic blood sugar spike. Are made with artificial colors, flavors and high fructose corn syrup (HFCS). Gatorade and its brethren are NOT healthy beverages. These ingredients promote ADHD, and contain synthetic ingredients that offer the body NO nutritional benefit. Are loaded with sodium – the bad kind – not to be confused with unprocessed sea salt, which contains 84 different minerals and trace minerals that your body needs for optimal function. A far better option is to simply add a small amount of natural, unprocessed sea salt to your water. So, what are your hydration and electrolyte replacement options? Water is always good, but won’t replace integral electrolytes and minerals. Coconut Water is rich in B vitamins, trace minerals AND electrolytes, as well as potassium and magnesium. Bananas are high in potassium, fiber and antioxidants. Raisins are a great replacement for those “energy jelly beans” and GOO. Wait, what is that, you say? A CLEAN sports drink??? Yes indeed! Say good bye to Gatorade. Enter Perform—our super-clean performance and recovery drink! It has a Tart Cherry-Pineapple flavor. It is powered with electrolytes, trace minerals, hydrating coconut water and lightly sweetened with local raw honey for flavor and stamina. Tart Cherry is important because this polyphenol-rich juice reduces oxidative stress, which if neglected promotes excess fatigue, tissue damage and slow recovery, The bromelain in pineapple works to reduce inflammation. Hydrating your teenage athlete is a minefield, people. Lucky for you we’ve got you covered. If you want to learn more about this and more GEM~my goodness, join us for our Day in the Life of a GEM counseling series. It is on in September. This entry was posted in Food Secrets, Happiness, Health, Healthy Eating Tips, Kid Snacks, Organic and tagged electrolyte replacement, feeding teenage athletes, feeding teenagers, gatorade, hydration, teenage athlete, teenage athlete nutrition, teenage athletes, teenage electrolyte replacement, teenage hydration, teenage nutrition, The Gem's Perform on August 29, 2016 by diamondsonyourinside. Many struggle with knowing the healthiest ways to feed teenagers. Feeding a teenage athlete is even trickier. 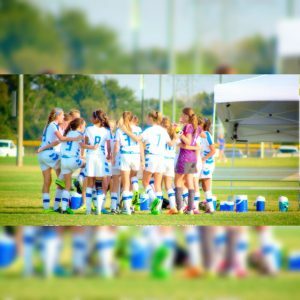 As discussed in last week’s post, optimal physical performance for your teen athlete requires preparation—not just daily practice, but as it relates to daily dietary input. You can’t expect to put cheap and crappy fuel into your car and expect it to run optimally. The same goes for your body. What are appropriate pre and post game hydration and energy food options? Last week’s post covered what your teenage athlete should eat – as a general diet, before training, and before sporting events. But what happens when your athlete is on the go? What choices can you make when you don’t have a great deal of time or the choices are limited and they need quick energy? Sugary sports drinks and energy bars can actually do more harm than good. Beware of chemical laden, sugar filled energy bars that tout performance improvement. Green juice – don’t underestimate the power of green juice! Packed with energizing nutrients that are delivered immediately into the bloodstream. Green Glow is a great pre- and post-game choice. Beet shots – increases endurance, reduces oxygen consumption, increases blood nitrate levels and reduces resting blood pressure. It might be a stretch for some of our teens, but major athletes swear by them! While not perfect, Clif bars are an energy option that is available even in the most remote of convenience stores. Remember: clean and simple food choices are the way to go with your teenage athlete. And don’t forget – water, water and more water! Next week, we wrap up our series by tackling hydration and sports drinks. Until then, drink your juice! This entry was posted in Food Secrets, Happiness, Health, Healthy Eating Tips, Juicing, Kid Snacks, Organic and tagged ADHD, feeding teenage athletes, feeding teenagers, Go Lean Crunch, green juice, healthy sports drinks, Kind Bars, organic juice, organic smoothies, protein bars, smoothies, teenage athlete, teenage athlete hydration, teenage athlete nutrition, teenage athlete preparation, Tosi Bars, Vega on August 22, 2016 by diamondsonyourinside. Our kids are crazy about their sports. 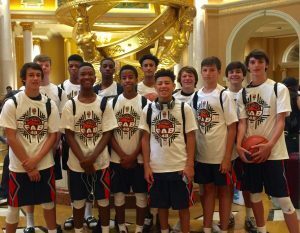 They put lots of focus on practice and training to prepare for the big games; but do they place equal focus on the nutrition that will support their play? Optimal performance for a teenage athlete requires preparation—not just with practice output, but also dietary input. 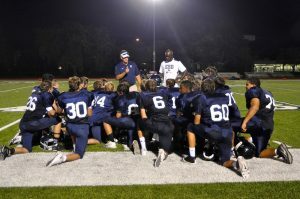 This three part blog series will give you information and helpful tips on how to fuel your teenage athlete in ways that are healthy and promote optimal performance. If you haven’t already, take a look at our series on feeding healthy teens here – part one, part two, part three, part four. This information was very well received, but it resulted in more in-depth questions, specifically about your teenage athlete. Sports nutrition for teenagers is a bit of a specialized area. Teenage athletes playing high level sports burn calories very quickly. If they don’t eat enough of the right types of nutrients, their performance can decrease and may even result in possible growth problems. Healthy eating allows a teen athlete to achieve peak performance without compromising overall health. Eat a diet that is about 70% complex carbohydrates – including fruit, vegetables, brown rice, whole grain, organic pastas, quinoa, carrots – to achieve maximum carbohydrate storage. Lean proteins such as organic chicken, pastured eggs and small amounts of grass fed beef are critical. Stay away from the bad carbs: white pasta, white breads, junk cereals, and off the shelf fruit juice. Eat fat. It sounds crazy, but good quality, healthy fats are a source of fuel for your body and are strongly advised – smart choices are avocados, natural organic peanut / raw almond butter on an apple. Eat a good breakfast! Every day, but especially on game days. Oatmeal, a fruit smoothie with vegan protein, scrambled eggs. Eat a meal no less than three hours before exercising. Hydrate, hydrate, hydrate! *** Drink 24 ounces of water two to three hours before the sporting event, during the event on breaks, and especially afterwards to replenish the body. Beware of sports drinks – they can be loaded with sugar, creepy preservatives and artificial food colorings (more about that in part 3). Pre-game, eat a meal containing complex carbohydrates such as whole wheat pasta, or brown rice with vegetables. Don’t weigh your teen down with heavy proteins or unhealthy fats. If they can’t eat a full meal because they have a nervous feeling in their stomach, a small snack such as a banana or oatmeal is still important. Avoid SUGAR before exercise – it can speed up dehydration. Your body will thank you later! I know it’s tempting because of the instant energy it provides, but the subsequent crash can be depleting. Stay away from fast food. It can make your teenage athlete sluggish and it seriously affects performance. Better “fast food” choices are places like Chipotle and Panera, who have healthier options PLUS they have eliminated unhealthy additives and preservatives across the board. Save the occasional Burger House for a post-game celebration. Multivitamins are essential! Teenage athletes just don’t get what they need from their food—even if they are perfect eaters. A daily multivitamin is key, along with high quality Fish Oil and a Probiotic. Look for organic ones, made from real food sources. New Chapter, Rainbow Light, Metagenics and Garden of Life are great brands. And, be careful. There are always new ‘miracle’ foods and supplements surfacing. Many are expensive and even dangerous, which makes it confusing. Don’t be swayed. Keep keep it clean and simple. Water is one of the MOST important components to health and wellness there is. Dehydration is a very real risk if your teen doesn’t continually drink water throughout physical activity. Even dehydration of less than 2% can have measurable negative effects on performance. As a general rule, teenagers should drink 6-8 ounces of water 6 times a day for general health and 24 ounces of water two to three hours before a sporting event, as well as during and after playing. Join us for parts 2 and 3 of this series for the whattup on teen athlete nutrition on-the-go and sports drinks. Until then … drink your juice. This entry was posted in Food Secrets, Happiness, Health, Healthy Eating Tips, Kid Snacks, Organic and tagged Chipotle, eating, eating habits, feeding teenage athletes, feeding teens, Garden of Life, green juice, healthy eating, healthy fats, healthy snacks, hydration, Metagenics, multivitamins, New Chapter, organic juice, organic smoothies, Panera, Rainbow Light, sports drinks, teenage athlete nutrition, teenage athlete preparation, teenage athletes, teenage nutrition, Teens, vitamins, water on August 10, 2016 by diamondsonyourinside. Snack ideas for healthy teens got you stumped? The key is to BE PREPARED. Remember from last post? If you have good food in your fridge, you will eat good food. This is true for all of us. So make regular trips to the grocery store, with a list of things that will sustain your teens (and their friends) for the week. Be Ready!! Don’t wait for them to start rummaging through the kitchen. They will snack on what is in front of them. So have it out on the counter. Organic popcorn made in a Whirley Pop with coconut oil and sea salt. You and your kids will flip for this stuff. Don’t have a Whirley Pop? Just in a lidded pot. So easy. DEE-LISH. Tiny but Mighty brand popcorn kernels are pretty cool to eat. Fresh pico, salsa and bean dip. Nachos with pinto beans and cheese knock Cheetos out of the park! Bean Roll-Ups Spread bean dip on a whole wheat flour tortilla, top with shredded organic white cheddar and roll up. Brush with oil or grass fed butter and bake 10 minutes at 400 degrees F. Serve with salsa. GEM hummus with jalapeno pesto. Grab one of our snack packs for their lunch too! Sunflower seeds. Pumpkin seeds. Pistachios are fun to eat. Keep in a bowl on the counter. Slice bananas and freeze them. AWESOME. Grapes, too. Cutie oranges are fun to eat. Make smoothies! Keep frozen berries (1c), 1 frozen banana, (1) almond milk (1c), pomegranate juice (1/2c) and plant based protein powder. (We use Epic inside The GEM.) They will love you! Applegate Farms Turkey or chicken with a little mustard wrapped around a sesame breadstick. Mini pizzas made with whole grain English muffins, fresh marinara (no sugar, all natural), organic mozzarella. Whole wheat pasta already made. Or, Tinkyada brand gluten free pasta. Find a pomodoro sauce that is clean and healthy with nothing but tomatoes, garlic, olive oil, spices. NOTHING ELSE. Make your own pita chips–sprinkle whole grain pita chips with parmesan cheese and broil until golden brown. Annie’s Cheddar Bunnies–in a pinch–are okay. 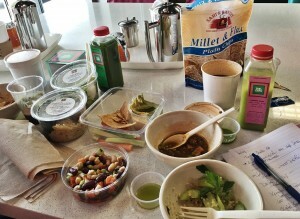 Annie’s makes all kinds of convenience foods that can help make a transition into cleaner snacks. Brown rice sushi pieces—cucumber rolls, California rolls. Make your own cookies and brownies as a special treat. Just use organic flours, whole butters and real chocolates. A little goodness goes a long way. Stay away from Betty and Duncan. They are toxic sh*t storms. This ain’t working for you? Still need some frozen snacks? Try these. Amy’s Nacho Snacks, Pizza Rolls or Burritos. Available at most grocery stores. Popsicles? Frozen fruit ones are great–make sure to read the ingredients. Try these GoodPops out of Austin. These are not all super-food healthy snacks–because we aren’t dummies. They are, however, CLEAN, free of harmful chemicals and dyes. This is really important to remember when feeding your families. What are YOUR go-to healthy snack options? We’d love to hear! Next up … bad@$$ breakfast ideas! This entry was posted in Food Secrets, Happiness, Health, Healthy Eating Tips, Kid Snacks, Organic and tagged Amy’s Nacho Snacks, Annie’s Cheddar Bunnies, eating habits, GoodPops, healthy eating, healthy habits, healthy teens, organic fruit, organic juice, organic juice bar, organic smoothies, pantry clean out, probiotics, Sami's Cinnamon Chips, smoothies, Teens on February 23, 2016 by diamondsonyourinside. We need to get teens back to healthy foods. So how do you start? It is daunting. And I don’t suggest coming in full swing with a super-sized bag of kale chips and quinoa burgers. That is an invitation for a full on revolt. Start slowly. It’s not EVER too late to start. Just two weeks to form a habit. 1. MAKE IT RELEVANT. This is my favorite, and the most impactful way to convince your child of anything. In order for healthy options to sink in, teens must believe the message has specific reference to them. Long term health challenges will NOT resonate with them. Let them know nutrition affects their growth, their emotions, their academic and sports performance, their appearance, or whatever seems to be the most important to the teen during that particular week. Appeal to their vanity. Tell your daughter that eating lots more green leafy vegetables and less dairy/sugar will make her skin glow and eliminate breakouts, you have her ear. Talk to them about the correlation between nutritious food and acne. Want to grow? Talk about foods that promote growth and foods that don’t: promote calcium-rich foods and let them know soft drinks contain calcium depleting phosphoric acid, which can interfere with bone growth. Appeal to their competitive nature. If you tell your son that he will play much better basketball if he doesn’t choose to drink the milkshake and chicken fingers before a game, he will listen. Appeal to their academic drive: Tell your teen that eating grilled wild salmon and broccoli before exams and they will think more clearly. You at least have a chance! BUT YOU HAVE TO MAKE IT RELEVANT. 2. Model good nutrition. You must model healthy eating habits. You cannot preach to them! We all know how well that usually ends. Show your teens how to make healthier choices so they learn the connection between good food and good health. Want them to eat healthier? Buy and cook healthier!! Have easy to grab options ALWAYS available. This IS YOUR RESPONSIBILITY AS A PARENT. If you have good food in your fridge, you will eat good food. If you have a bowl of washed strawberries and grapes, they will eat them. Have a plate of veggies, hummus, and sliced apples out when they come home from school. Guacamole and fresh pico? They will eat it! Homemade organic popcorn is always a crowd pleaser. Let your teens help shop for healthy foods that they like and let them prepare their own meals/snacks. Keep junk food out of the house or to a minimum. AND find “cleaner” junk foods. Those made without harmful chemicals, sweeteners and dyes. Make extra when cooking dinner so they can use leftovers! (extra brown rice, chicken, pasta, brisket). I keep grass fed taco meat in the fridge to quickly make quesadillas after school. The key is to be ready. Don’t wait for them to start rummaging through the kitchen. They will snack on what is in front of them. So have it out! 3. Eat more QUALITY protein at every meal. The growing teenage brain needs protein. Protein gives the body the building blocks it needs to repair and renew, and it also serves as a source of energy. But Quality Matters. Try wild fish, organic free-range chicken, grass-fed beef, pastured eggs. I keep a pot of beans ready at any given moment. Nut butters are also good sources of protein—just make sure they are all natural and not loaded with sugars. Multi-vitamin/multi-mineral supplement is imperative. Cells are powered by nutrients. Vitamin D alone powers 200 reactions in the body and without it teens will be prone to depression/anxiety. Without enough B vitamins, and B12 (found in proteins) teens will feel lethargic, low in energy. Zinc has been nicknamed the “new anti-depressant”– it boosts mood and appetite and helps kids think. Look for organic, plant based vitamins from reputable companies like New Chapter and Nordic Naturals. Probiotics. Our immune system primarily resides in our digestive tract. The healthy bacteria that we need has been sabotaged with processed foods, antibiotics, and other chemical stresses we put on our bodies. Probiotics bring the good bacteria back so it can fight off illness, enhance digestion, remedies constipation and believe it or not, improves mood and thinking. Fish Oil. Good omega fats nourish the brains, the nervous system. Combats mood disorders, fights inflammation, great for their joints too. Quality matters! CONSIDER SUPPLEMENTS FOR YOUR TEENAGERS. 5. Pantry clean out. Throw out foods with ARTIFICIAL FOOD COLORS and SWEETENERS. PERIOD. Artificial sweeteners are KNOWN to cause 93 unsavory side effects from brain tumors. Memory loss, to hair loss. Food colorings (banned in Europe) are known to cause tumors, ADHD, allergies among lots of other infuriating problems. These are definite NOs in our house. READ THE LABELS. Take a look at the ingredient labels on your food package. Even the simplest of foods will have more chemicals in them than you can count, much less pronounce. Fill your kitchen with real, fresh foods whenever possible. Even replacing super bad junk with organic, non-GMO junk is a non-toxic step in the right direction. Shop at Whole Foods, Central Market, even Tom Thumb offers cleaner options. Also, if you haven’t already, check out Thrive Market. 6. 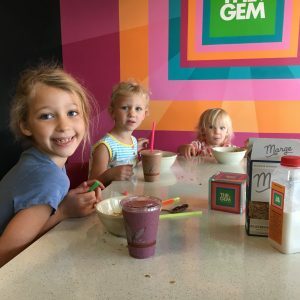 “Breakfast is the most important meal of the day.” Without question this is true, especially for kids. For brain development, their daily energy levels, their ability to focus. Protein rich eggs, oatmeal, breakfast tacos, plant-based protein smoothies. These are great!! Fruit Loops ARE NOT AN OPTION. Sugary cereals and drinks have no place at breakfast—their brains have nothing to function with, and the sugar spike and drop makes them sluggish and cranky. Getting your kids to eat a good breakfast is simple–if you just do a little planning. Make it for them! It may be your only chance of the day to influence their choices. If you are not a morning person, prepare the night before–put out plates, glasses and put ingredients together ready to go from the fridge. Place their vitamins in ramekins at their place setting. Plan to get up 15 minutes early to scramble those eggs. It makes all the difference. Added bonus: Breakfast can be a great way to spend a moment with your kids—that you otherwise might not have!! At the end of the day, it is about a lifestyle change, not a week or so of regimented consumption. A healthy routine paves the way to a vibrant future of health and happiness! If you’d like to dig deeper, we can help you get there! 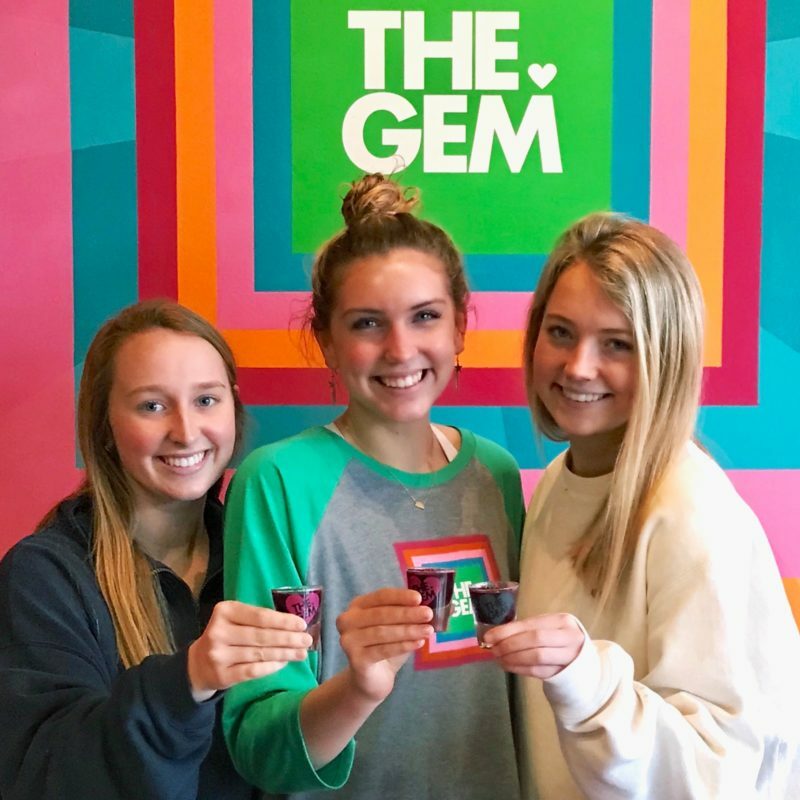 So you and your teenager can experience daily GEM goodness after school, we’ve extended our hours to stay open until 6 p.m. Monday – Friday. YEP. WE ARE OPEN UNTIL 6. Next up … What DO you feed those kids? Stay tuned for great snack ideas. This entry was posted in Food Secrets, Happiness, Health, Healthy Eating Tips, Kid Snacks, Organic, Supplements and tagged eating habits, fish oil, healthy eating, healthy habits, healthy teens, multi-vitamins, New Chapter, Nordic Naturals, pantry clean out, probiotics, Supplements, Teens on February 16, 2016 by diamondsonyourinside. Teens need exceptional nutrition because their bodies AND BRAINS are growing and maturing rapidly. With the exception of infancy, adolescence is THE most critical time for good eating. WOW! The irony, of course, is that the time they need it the most, is the time when they eat nutritious foods the least. They need help. The struggle of feeding healthy teens is a real one. 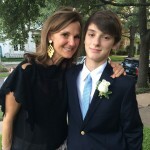 Over the next four blog posts, we will discuss ways to raise healthier teenagers–from why they need our help, to how we can play a role, along with an entire post devoted to healthy snack ideas your kids will eat. Here’s the deal: Our teens ARE overfed and undernourished. (Take a look at the documentary!) Think about that profound statement! We need to help change this. These growth spurts do require more food; but not just more food, they require the good food. There are lots of reasons this is a problem. Teens eat more meals away from home, and parental supervision is limited. The places they DO eat are usually fast-food restaurants, where “food” is riddled with unhealthy fat and void of nutrients. Basically CRAP. Their tastes are changing. Boys try to build muscles by eating massive quantities of food. Girls want to be thin, and think limiting calories alone equates to weight loss. There is an increased affinity for fat (not the good kind). Boys crave heavy, protein-rich foods. Girls crave sweets. Hello, Cupcake. The fact is that healthy nutrition — and especially the lack of it –affects so much of our teenagers lives: their academic success, athletic ability, overall attitude—and even their appearance. Our teens need to know this. If we can educate them and help them adopt a few good habits, we keep them healthy and happy–not just now but straight into adulthood. This is our duty! Effects of poor teen nutrition. You probably know what it looks like, but what does it do? Acne. Yep. Sugar and Dairy are the culprits. Enough said. Low energy, sluggishness. Excess sugar and bad fats, along with lack of good protein and good fats. Inability to focus/concentrate/ADHD. Largely affected by artificial dyes and lack of good fats and proteins. This is crisis is REAL people. Allergies! Big and little ones. Check out The Unhealthy Truth by Robyn O’Brien. Infuriating. Mood swings/depression, anxiety, anger. Food can be a BIG factor in managing mood. Weight gain and risk of obesity. Greater chance of diabetes and heart disease later in life. Bottom line: You and your teen can find better commitment to healthier foods just by knowing what some of these things do to you. So much of what we feed our kids is full of chemicals and over-processed, nutrient depleted “food-like” substances. You may not even know the culprits–as they are hidden in everything. Junk food abounds, then all of the side effects appear. Providing your family with nutritious, acceptable and SAFE food is HARD to do! Fast foods and convenience foods are pumped full of chemicals. It’s a real toxic sh*t storm out there. Even Chick-fil-A contains food colorings AND an “anti-foaming agent” in their fries that is also used in plastics. What????? Packaged snacks are made with hydrogenated oils, scary preservatives, creepy science experiments (GMOs), and things called rendered beef fat. Hidden sugars are everywhere. Prego spaghetti sauce=serving of Chips Ahoy. Sports drinks have tons of sugar, not to mention harmful food dyes that are banned in most 1st World Countries. We now consume 5 times the amount of food dyes than 50 years ago. Check out this frightening guide to food coloring dangers. If that doesn’t get you off your Sugar Smacks, nothing will. This entry was posted in Food Secrets, Happiness, Health, Healthy Eating Tips, Kid Snacks and tagged acne, ADHD, Children, feed your family well, feed yourself well, healthy children, Robyn O'Brien, Teens, The Unhealthy Truth on February 2, 2016 by diamondsonyourinside.